I started in a new yoga class yesterday. At the end of the class the instructor took me through some creative visualization. One of the places he wanted to take me, was to a beach at sunrise. To feel the cooling sand beneath my bare feet. To see the colours of the rising sun from the bed of the sea. To feel the warming sun rays on my skin. To hear the soothing sound of the waves in my ears. To be a place where I feel good. For me, this visualization was no problem. 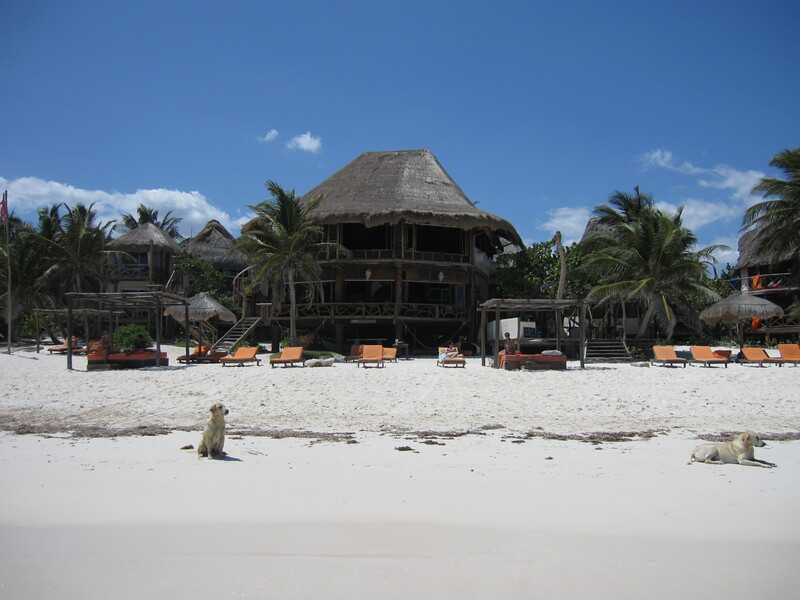 I just imagined myself back to my stay at Amansala Eco Chic Resort in Tulum, Mexico. Earlier this year, after a long winter, I had a strong need to escape Denmark for a while, so I counted my money and decided to treat myself to an Easter stay at a Bikini Bootcamp. 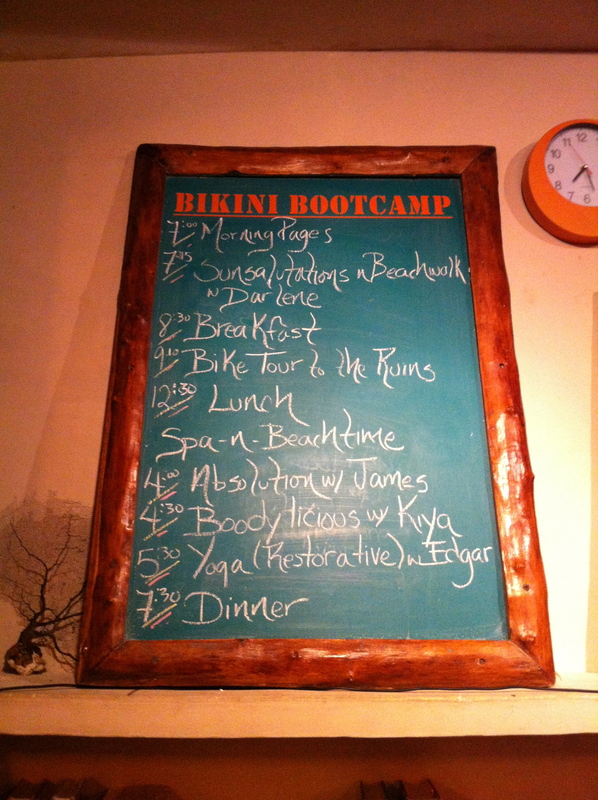 The Bikini Bootcamp is an adventurous fitness and yoga holiday. 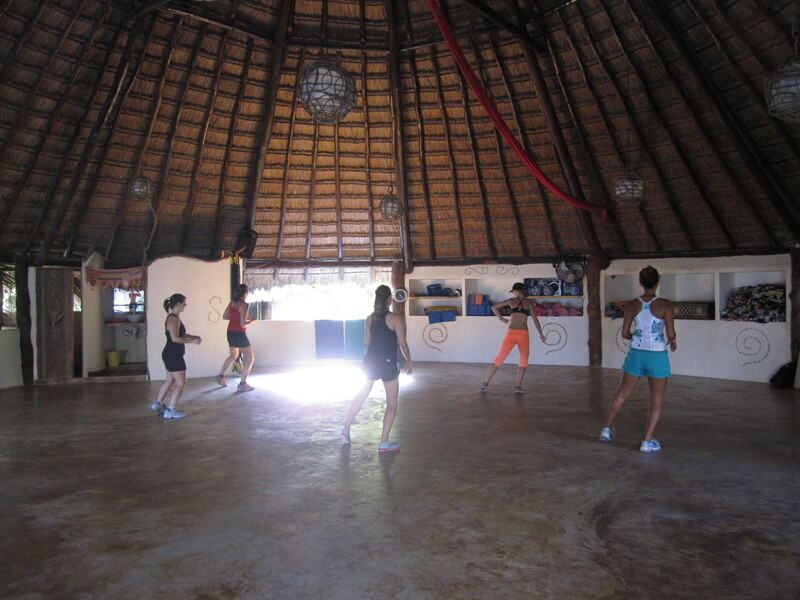 Everyday of the stay there is a varied program with exercising, yoga classes, excursions to nature and culture, relaxation and pampering, evening entertainment and this all topped up with healthy food and very good vibes. 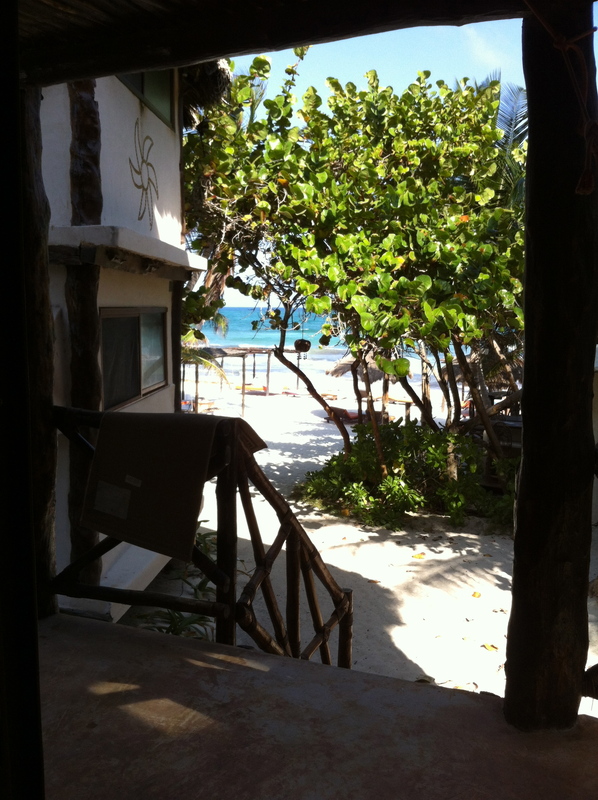 Further to this is Amansala Resort based directly on one of the most beautiful beaches in the world. 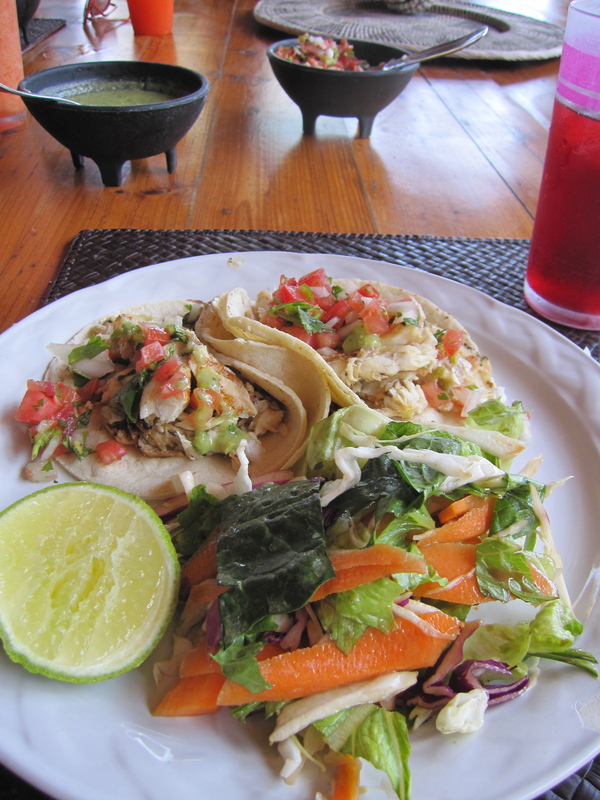 It is like a small village of rustic yet comfortable cabañas. Every morning just before 7 o’clock, the group of women and men (yes, men can also join and they don’t have to wear bikini) participating in the boot camp was woken up by the sound of a gong. 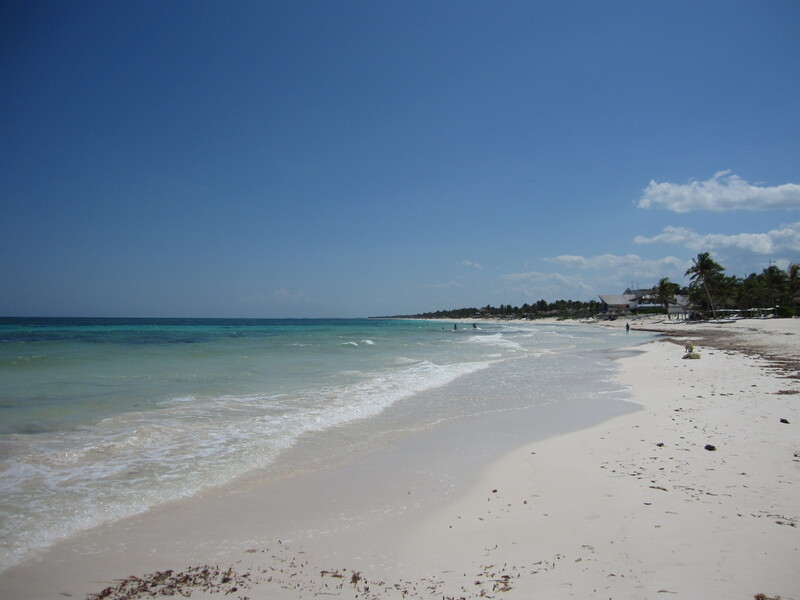 After stretching the sleep out of the body, we walked at least for one hour on the beach. The first 15 minutes in silence to fully take in all the sensational feelings also described above – the sun, ocean, waves, sand. After a while it was free to talk and the instructor came up to me. She said that she felt she had to talk with me. We had a very good talk about me, her and life in general. Just before our walk finished, I told her that it was my birthday today and she wasn’t surprised because she sensed a very strong energy around me. 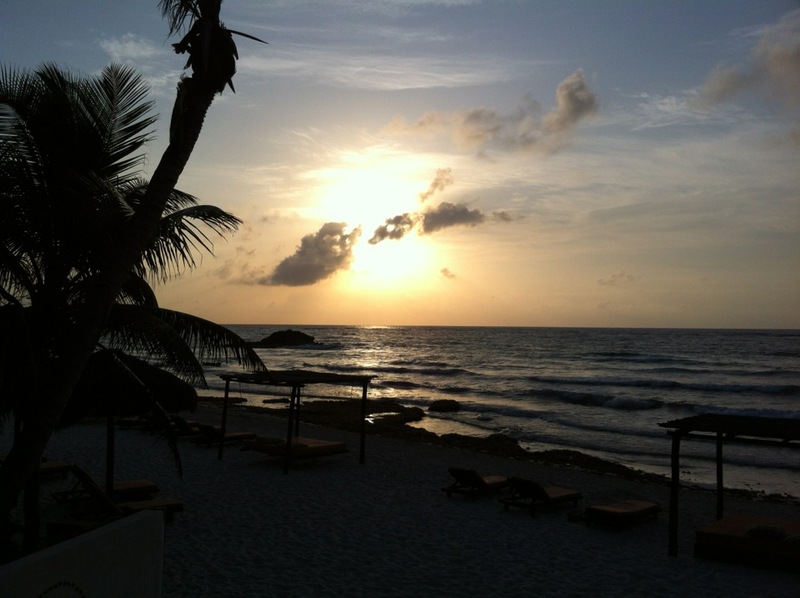 I was very honoured and I will never forget the beautiful morning walks at sunrise, this one in particular, on the beach of Tulum.